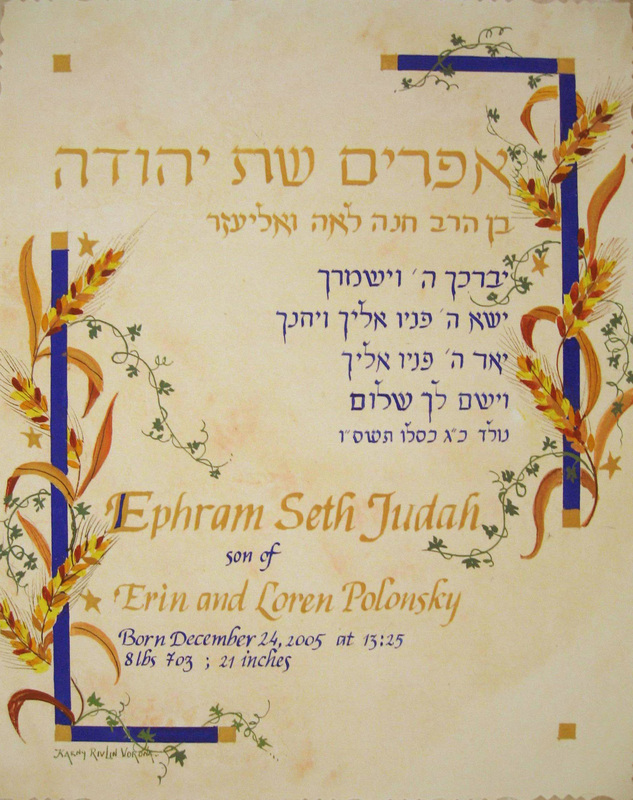 The child's information in Hebrew and English on the "parchment" background. The wheat and delicate green ivy is embracing the blue frame. The text in blue includes the date and time of birth, weight and length at birth, l as well as Birkat Ha'Cohanim. Detail: Small gold squares throughout the artwork.